The tulip spirit has a colorful personality both literally and figuratively. They literally come in every color of the rainbow and once introduced into the market became a beloved flower to people and florists alike simply because they seem to fit every situation. This alone gives tulip the symbolic value of adaptability. There is something unassumingly beautiful about tulips. Most people associate them with perfect love. Nonetheless, the meaning of tulips changed depending on the color of the flower (see color associations) as well as cultural setting. This article looks at a few specific settings as well as generalized symbolism. One of the great gifts of the tulip is that you only have to plant it once. Since it returns every spring it can represent renewal, reincarnation, the eternal nature of the soul and refreshed perspectives. It’s considered a herald of spring because it is among one of the first few flowers to blossom once the weather begins warming. On the wedding anniversary calendar tulip celebrates 11 years of devotion. Some people feel that the darker center of the tulip speaks to us of passion’s heat burning within. Francis Bacon linked tulips with the sun because they open with dawn as a greeting and close when the sun goes down, mourning its passage. From this perspective we can consider tulip as signifying an awareness of time’s passage. The petals remind us that moments are fleeting and to blossom with each one! For the culinary soul out there, tulips are edible. They make a whimsical holder for chicken or tuna salad. If you cook them they taste a bit like peas. While we typically associate tulip with matters of the heart, every pigment has a different significance when placed in an arrangement or given as a gift. The red Tulip declares your love and romantic intentions to another and asks that person to trust you. Yellow tulips represent a cheery disposition and a pleasant, welcoming smile. Cream tulips tell your partner that your love is eternal. White can represent forgiveness, spiritual love or pure intention. Purple is the color for royalty or leadership, Pink the color of friendship and perky orange is the flower that says, “let’s get it on!” (a little more subtly). Variegated tulips round out this colorful selection as the flower that symbolizes beautiful eyes. Because of the strong psychological association for Tulips as harbingers of spring, in dreams they often portend a fresh start. They can also convey a message of hope, idealism and the quest for perfection. You can learn more about flowers appearing you your dreams by referring to our dream dictionary. Some sources say that Tulips represent passion, romance and true love. However, others change the meaning of these flowers based on their color. The variegated variety, for example, means “you have beautiful eyes”. 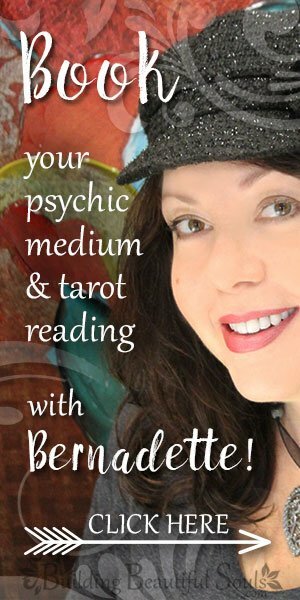 See color correspondences for more information. There are not a lot of medicinal writings about the Tulip, in part because it was very expensive for many years. In country living guides tulip oil was recommended as a general house freshener. You can also add it to baths or use it as massage oil. In this form it spreads uplifting vibrations. Physically a poultice of tulip petals is good for treating and soothing rashes, stings, scratches and minor burns. To make a poultice you need 3 flower heads placed hot water. Transfer the petals into a wash cloth and gently crush the leaves applying them to the skin. Leave this in place with the warm cloth on top for 10 minutes. 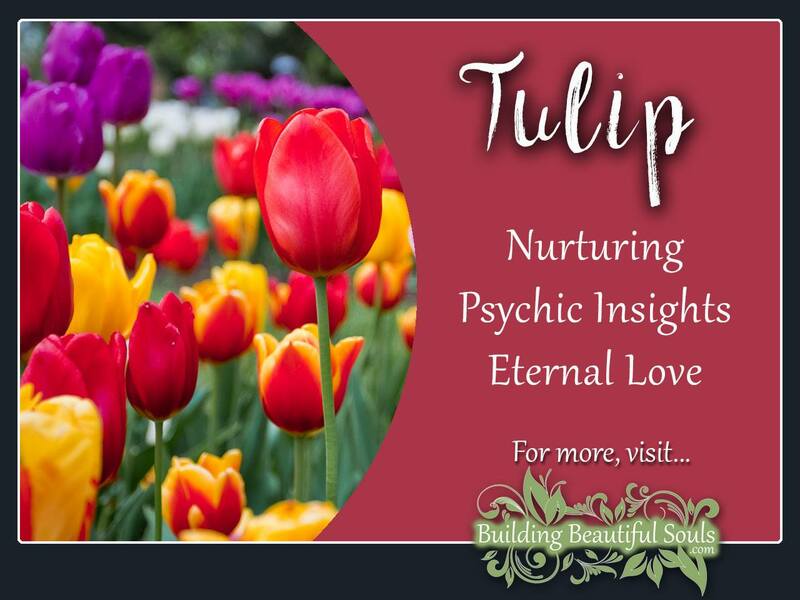 In the book, A Victorian Flower Oracle the tulip represents spiritual insight, wisdom and love. Having it appear signals a time of heightened senses and an awareness of personal energy and true intent. Use that to judge people and situations to know what’s healthiest for you. In the Victorian Flower Oracle Tarot Tulip represents prosperity and a person who has self-actualized. Depending on the adjacent card it may also act as a warning against fickleness. The Gratitude Tarot features Tulip as the Ace of Thankfulness that represents abundance about to blossom in a person’s life. The Rabbit Tarot features the Tulip in the entire suit of cups. In magical traditions tulip appears in spells and rituals aimed at love, joy, safety, success and meaningful dreams. You can carry tulips as a charm that attracts prosperity. Wear yellow tulips to attract new friends and boost your charisma. When you want to enact glamoury use variegated tulips, and use dark colored tulips as a part of your full moon rites. injustice and sad fates. 6 vibrates of a level where it need not be center stage, but simply a part of the whole picture, supporting it just as the tulip supports a lovely array of flowers. While you might think “Holland” when you see a Tulip, this flower has its roots in Turkey and Persia. Throughout this region people wore Tulips in their turban, which is actually how it got its name. Botanists in the Ottoman Empire had a love affair with Tulips, cultivating them by 1,000 CE building on the numerous species of wild tulips available. The most beautiful flowers adorned the homes and costumes of the Sultan, making them a symbol of power and prosperity. To this day the unpretentious tulip remains Turkey’s national flower. Merchants and travelers helped the flower wander to Europe in the 1500s, and from there to the New Lands. Carolus Clusius, a botanist and the head of the Hortus is credited with starting the tulip trade in Holland specifically. At first he hoped for medicinal uses, but Holland found that the ornamental nature of the flower was far more profitable. Some of the rare variety of tulip bulbs sold for what would be over $2,000 by modern standards EACH! Today of the nine billion tulips grown in Holland 7 billion are exported. One Turkish legend gives us a peek into the symbolic meaning of red tulips. It says that young prince Farhad fell madly in love with a beautiful maiden, Shirin. Upon hearing of her untimely death, his heartache propelled him and he rode his horse over a cliff. Each drop of his blood became a lovely red tulip, giving it the significance of not simply true love but also love’s sacrifice.